The history of colour is an inspired one, and one close to our hearts here at Cass Art. One of the masters in telling its story is Michael Harding, esteemed maker of oil paints used by professional and legendary artists worldwide. Using age old methods, Michael Harding’s fans include Florence Academy of Art, David Hockney and Rupert Alexander. Using his own quotes about pigment as well as testimony from some legendary artists, we wanted to refresh your memories as to why his oil paint is used by so many names in the art world. While humans have been making art, we’ve used pigments from unusual sources such as botanical materials, animal waste, insects and molluscs. All these unusual materials have been harvested and traded over long distances. Some colours were costly or impossible to mix with the range of pigments that were available and that's why blues and purples came to be associated with royalty - because they were just so expensive. For instance Tyrian Purple is a pigment made from the mucus of one of several species of Murex Snail. Michael Harding's oil paints are all handmade from organic materials. Lapis Lazuli was more expensive than gold until two French scientist synthesised it in the 18 century. 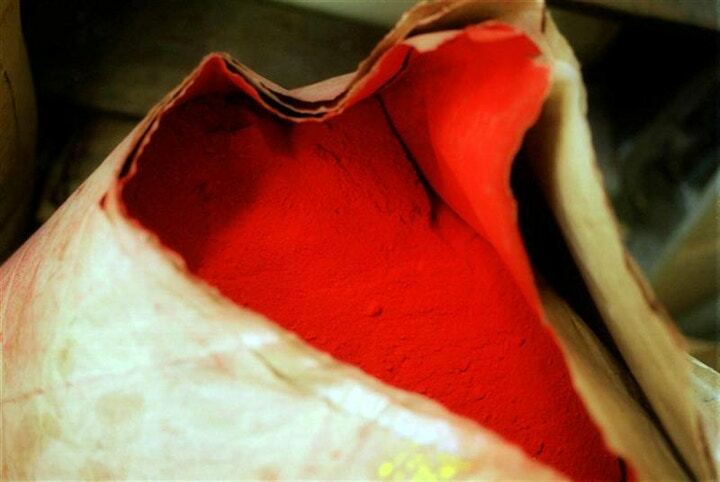 Michael Harding began making oil colours in 1982, because he wanted to reproduce the intensity of colour that the Old Masters would have used before mass production began in the 1840s. All the Michael Harding oils are handmade and matched by eye rather than machines. They are wholly unique, varying by a tiny degree between each batch. Every tube has an extremely high oil content and responding to popular demand, he has recently started producing a range of special mediums and varnishes to complement his colours. 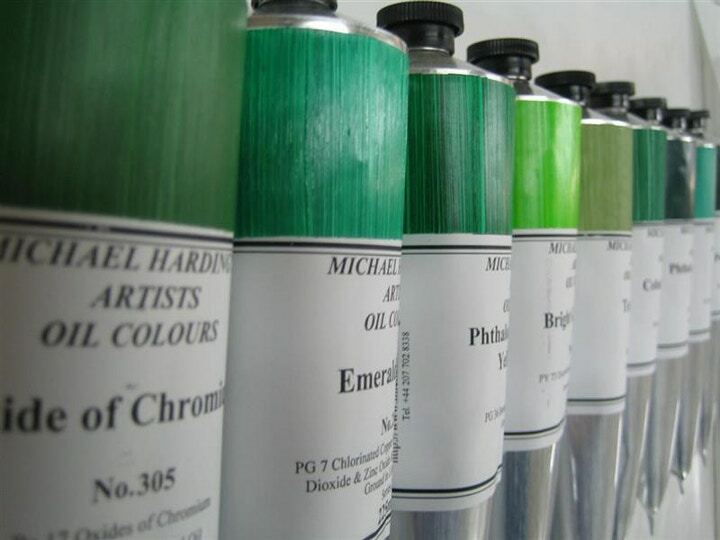 The choice of many painting professionals, Michael Harding oil paints have excellent lightfastness. This means they won't discolour over time, and are made for long-lasting paintings set to be on show for many, many years. His wide range of colours inlcudes both contemporary and historical shades, based on research into the Old Masters and his consultation with current artists. In the 17th Century Emerald Green was used as an under coat before wallpapering, as it was the cheapest colour to get hold of. Unfortunately it was made from arsenic, and it's purported to have caused poisoning in Napoleon. High praise from one of the most revered painters of our time - but well-deserved praise it is, too. Michael Harding uses only the finest of the finest pigments, including genuine Afghan lapis lazuli and real Chinese Vermilion, grinds in refined cold-pressed linseed oil (or occasionally safflower oil) to ensure the highest degree of permanence. He also refuses to use fillers, extenders and driers. Michael ensures his paints are made to be pure. He ultimately wants to make the act of painting even more of a joy. Shop our Michael Harding paints, including his new colour Amethyst which is exclusive to Cass Art for a limited time only, here. Our sale is now on - get 10% off Michael Harding when you spend £100. There is also up to 35% off individual Michael Harding tubes. Shop all Michael Harding products here and shop the sale here. Meet Michael Harding himself at our painting demonstrations in-store this February.